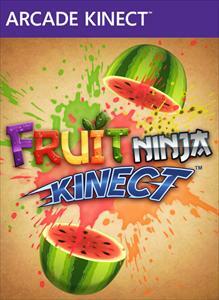 The worldwide gaming phenomenon “Fruit Ninja” is now coming to Kinect for Xbox 360 in its juiciest form yet — YOU are the ninja! Your arms are now blades, and the battle against the world’s most delicious produce is just beginning. “Fruit Ninja Kinect” is an amazing evolution of the slice-em-up genre created by Halfbrick, utilizing next-generation precision power for the juiciest combat ever!